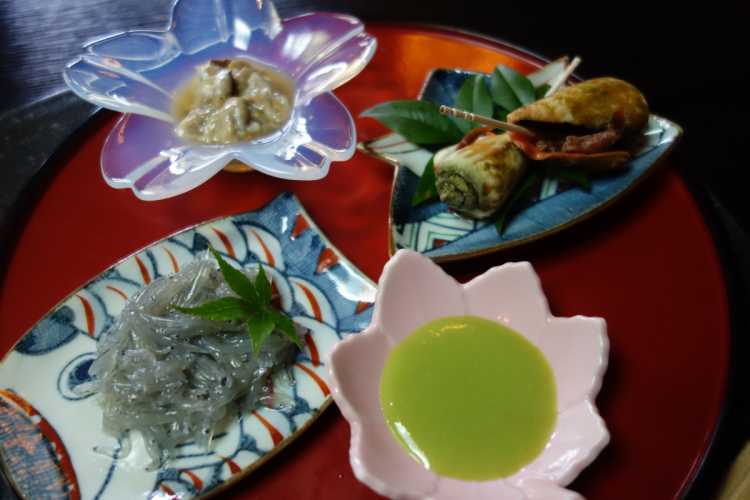 A long established inn's popular menu 'Komyo Gozen'. Tataki (a lightly roasted bonito), chanbara shellfish, dorome, original bonito 'shuto'. You can enjoy all kinds of delicacies in Kochi. They're surprisingly delicious. Tosa Aka-ushi is called rare wagyu because of the small amount of shipment. You can enjoy it in the Japanese style inn. Tosa wagyu that grows in the great nature in Kochi, has a good chewiness and the more you chew the meat, more juicy flavor comes out. 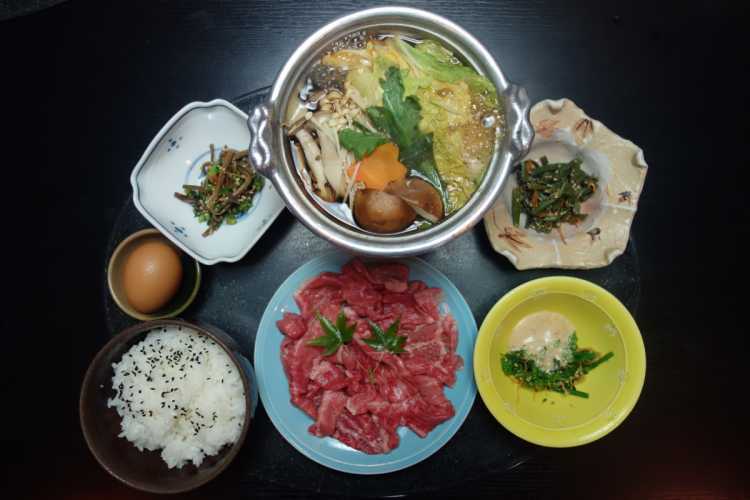 It's the superb sukiyaki.